Research shows that there are various benefits to playing video games. These include cognitive benefits, such as improved reaction time, improved mental flexibility, and improved spatial abilities, as well as other types of benefits, such as reduced stress levels, increased self-esteem, and increased prosocial behavior. 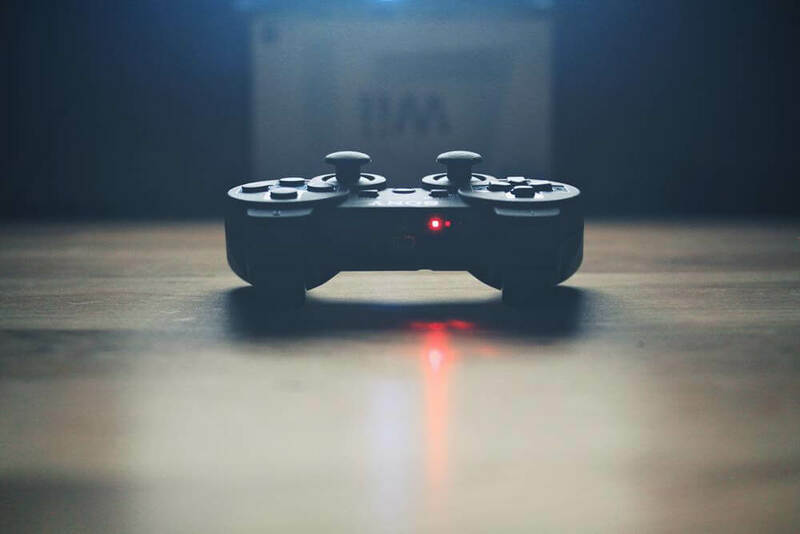 In the following article, you will learn more about the benefits of playing video games, and see how you can implement this knowledge in practice. Specifically, you will first see what the research says about the benefits of playing video games, and about the long-term implications of these benefits. Then, you will see how you can actively use video games to your benefit, and how you can assess whether they’re helping you improve. Playing 3D video games can improve recognition ability and spatial memory. Playing action video games can improve reaction time, without decreasing accuracy. Playing first-person shooters can improve mental flexibility, which means that it makes you better at rapidly switching between tasks, and at adapting to changes. Playing action games can improve visual processing ability, meaning that you become better at identifying important information, while ignoring irrelevant distractors. Playing video games can improve multi-tasking ability, by increasing your attentional capacity. Playing action video games can improve spatial abilities, including things such as enumeration, multiple-object tracking, spatial resolution, and visuo-motor coordination. Playing action games can improve visual-to-auditory attentional shifting, which is important for things such as information processing and reading abilities. Playing video games with a physical component can improve executive functions, attentional processing, and visuo-spatial skills. Overall, this list showcases some of the benefits associated with playing video games. However, it’s important to remember that different types of games offer different benefits. Therefore, each game will help you improve in some areas, which are related to the tasks that you perform in the game, but no single game will help you improve all aspects of your cognitive performance. Playing video games can help you relax and reduce stress levels. Playing video games can increase your self-esteem and improve your mood, and the more competent you feel at the game, the more you will benefit in this regard. Playing video games where you cooperate with other players can increase prosocial behavior in real life. Research shows that some of the benefits of playing video games can last long after you’ve finished playing. One study, for example, showed that letting kids play a cognitive-training game consistently for a month, led to cognitive improvements which were still significant when the kids were tested 3 months after they stopped playing. Furthermore, neurological studies show that playing video games consistently can lead to long-term positive changes in terms of how the brain processes information, and in terms of factors such as neural plasticity. Overall, the longer you ‘train’ by playing games, the longer the benefits will usually last. However, the relationship between the time spent playing and the degree of cognitive improvement is complex, so it’s difficult to predict exactly how long the benefits will last in different scenarios. There are some commercial games which purport to specifically improve cognitive performance (often referred to as “brain-training games”). The effectiveness of these games is under debate in the scientific community, with some studies showing that they can lead to an improvement in cognitive performance, and with other studies showing that these games do not lead to a significant improvement, especially in comparison with regular video games. Overall, the evidence regarding the effectiveness of these games suggests that brain-training games help you improve primarily at cognitive tasks that are closely related to the tasks in the game, and less so with other tasks. The biggest issue with this is that brain-training companies often overhype their products, and make false claims regarding how effective their games are. Based on this, it seems that brain-training games can work in some aspects, to some degree, for some people. Therefore, if you enjoy playing these games, and feel like they are helping you improve in related tasks (beyond those in the game itself), then by all means, keep playing them. Just be wary, and keep your expectations realistic. As we saw so far, playing video games can help you improve various aspects of your cognitive performance. You will generally get these benefits whether you’re actively trying to or not, so if you want to just keep playing and reaping the rewards, that’s perfectly fine; one of the greatest advantages of video games is that they allow you to improve passively, while having fun. However, if you want to actively try and get the most out of playing, then you need to keep in mind the 80/20 rule, meaning that in general, you should expect 80% of the benefits from playing video games to come from 20% of the play time. Therefore, if you’re playing with the goal of improving your cognitive performance, you should invest your time wisely, and remember that playing past a certain point will get you diminishing returns on your efforts. To circumvent this, you can diversify the type of games that you play, which will also help you improve different cognitive abilities. If you want to test whether video games are actually improving your abilities, you can try to do this by assessing your performance on tasks which require similar skills to those in the game. For example, let’s say you want to measure whether playing a new action game will improve your reaction time. Before you start playing for the first time, take a few online tests of reaction time, and record your performance on each of them. Then, after playing the game for some time, retake these tests, and compare your performance now to what you got when you took the baseline measurements. Try to keep the testing conditions as similar as possible between the trials, in terms of the device you take them on, the time of the day, etc. This will make your experiment more reliable, by allowing you to control for some variables which might affect the results. However, keep in mind that it’s difficult to know for sure whether you’ve improved, since there are other factors which might also affect the results, such as the fact that you’ve already taken these tests before. In addition, if you play video games regularly, it’s possible that gaming already improved your cognitive abilities, and that playing new games is mostly keeping you at a high-but-consistent level of performance. Overall, self-experimentation can be an interesting way to measure whether playing video games is helping you improve your cognitive abilities. Just keep in mind that this form of experimentation has some limitations, so the results might not always be clear-cut. Research shows that playing video games improves various cognitive abilities, such as reaction time, mental flexibility, spatial memory, attentional capacity, and visual processing. In addition, playing video games has emotional and social benefits, such as reducing stress levels, increasing self-esteem, and encouraging cooperative behavior. The benefits of playing video games can often continue to last in the long-term, even after you’ve stopped playing the game. Brain-training games, which are designed specifically for to improve cognitive performance, appear to be beneficial in some cases. However, they are often overhyped by the companies that sell them, and their benefits are sometimes no greater than those associated with playing regular video games. One of the greatest advantages of playing video games is that they allow you to improve passively, while having fun. However, if you want to actively try and get the most from playing, try to diversify the types of games that you play, and remember that past a certain point of playing, you will get diminishing returns on your efforts.